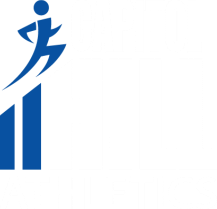 What is Capitol Hill Athletics? Conveniently located on Hastings street in North Burnaby, Capitol Hill Athletics is a private training studio. It is a place where certified personal trainers can train their existing clients, and it is a place for potential clients to find fitness professionals that will help them to achieve their health and fitness goals. Our studio boasts a 2000sqft air conditioned space with 15 ft high ceilings. We have plenty of parking in the back, a water filtration system and change rooms.